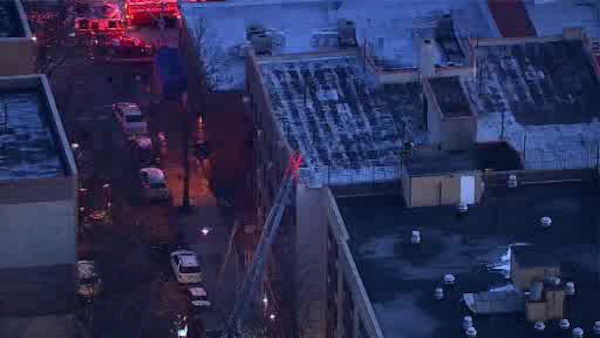 BELMONT, Bronx (WABC) -- Firefighters battled an apartment building fire in the Bronx early Monday. The two-alarm fire broke out at a five-story building on Beaumont Avenue in the Belmont section. East 187th Street was shut down for the fire department activity.